DECEMBER 2013 Toebben Companies is involved in helping the community, from participating in building Habitat for Humanity Houses to supporting research to find a cure for Alzheimer’s Disease. Recently Matth. Toebben received the 2013 Community Leadership Award. Matth’s son John Toebben accepted the award from HBA State & Local Government Committee Chairman, Walt Dunlevy of Forge Lumber. The news reported that, “Mr. Toebben’s support for his industry and Home Builders Association is carried out beyond involvement with the organization. He is passionate and supportive of many efforts throughout the region including Alzheimer’s causes, education, and youth causes”. Previously Matth. Toebben received the Donald M. Wiedeman Lifetime Achievement Award. 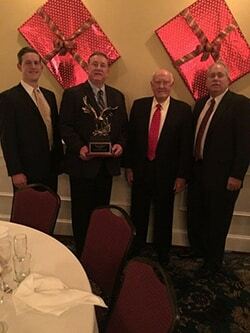 This award, named after longtime HBA Executive Vice President, Don Wiedeman for 37 years of service, is presented annually to any current or previous HBA member who has demonstrated a lifetime of service to the HBA or the Northern Kentucky region over a minimum span of 20 years. This service may include a combination of civic engagement, community projects, business organization leadership, and public affairs service. The mission of the Home Builders Association of Northern Kentucky is to promote and enhance the integrity and visibility of the construction industry and the members of the organization through advocacy, communication, education and political action. Click on the photo below to go to the Fox 19 Hometown Heroes segment. 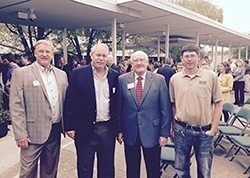 John, Jake, Matt, and Bill Toebben at the Squire Valley 25th Anniversary Ribbon cutting. 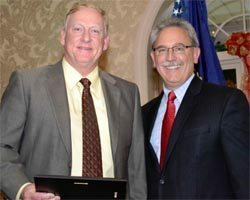 Home Builders Association presented John Toebben with the Life Time Achievement award. In the photo is Jake Toebben, John Toebben, Matth. Toebben & Bill Toebben. 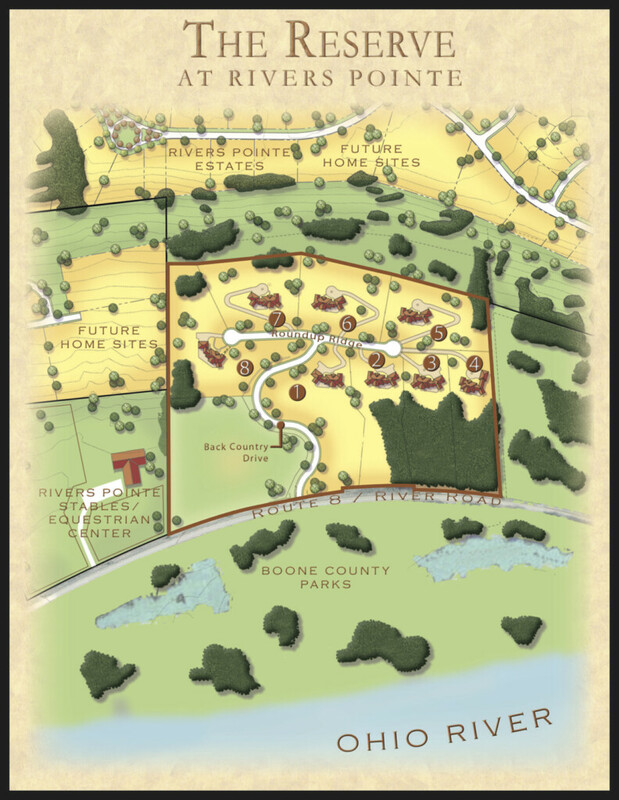 Toebben Builders’ Rivers Pointe development, The Reserve, featured in the Home Builders Association of Northern Kentucky’s HomeFest 2018. Ameritas celebrates their grand opening a new 275,000 S.F. facility built by Toebben. Attached is a photo of John, Bill, Matth. & David. 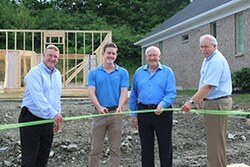 Toebben builders opens a new fully decorated model in Squire Valley Landominuims. 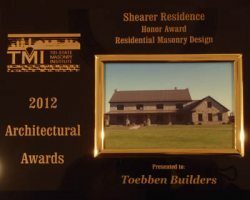 Congratulations to Toebben Builders for winning the 2012 Tri-State Masonry Institute Architectural Award for Best Masonry Design! How did Toebben get it’s start? 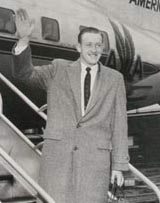 From humble beginning in 1955 to a multi-million dollar today, find out the whole story by clicking on Matth Toebben’s picture above.